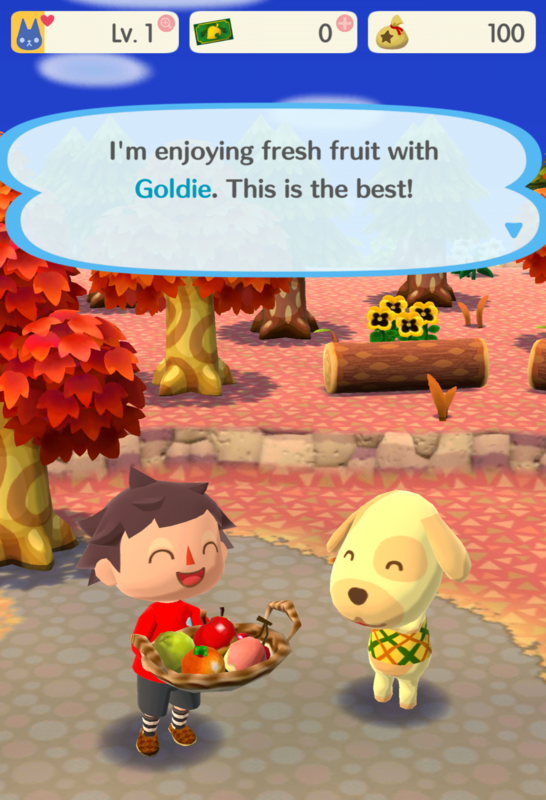 I had already visited most of the available areas in the game, made some friends and invited them to hang out at my campsite. Each area on your map caters to a different activity like fishing, foraging, or bug hunting. There’s also some market areas to visit with rotating inventories of clothes and furniture. The last place to visit was a automotive shop that allows you to customize and expand your sweet camper van. 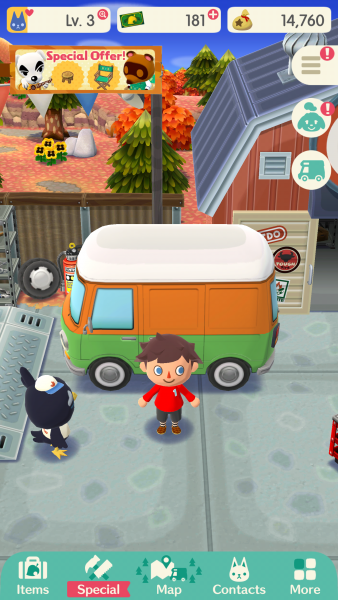 Next thing I knew, I had an expanded van that I had never actually been in before, and the mechanics had taken the liberty of getting me a 10,000 bell loan from Tom Nook to cover the costs. That felt a little too real in comparison with the rest of the fantasy and friendliness of the world. 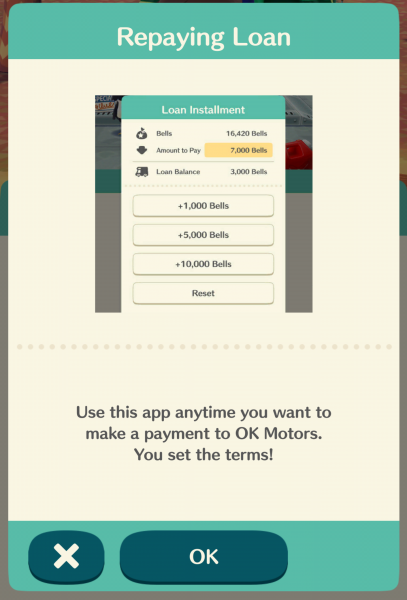 So there I was, a day into my Animal Crossing adventure, already underwater on my car loan due to unnecessary upgrades I accidentally requested… Tom Nook wins again. Time to start digging myself out of this debt, at least I have a bunch of friends to hang out with back at my camp.